From a decade, the mobile app development technologies and mobile app development market are growing and evolving at a rapid pace. Over 83% of the companies are building strategies for a scalable mobile application development - According to a report by Forbs. Let’s have a quick glance at a Xamarin research analytics, more than 41% of responders report that commercial apps are coming out in the market, at least per month or more frequent than that. On the other hand, the release of consumer apps is slightly higher. In our experience, many companies working on Mobile App Development are updating the applications on a quarterly basis. As the Xamarin App Development platform came into the picture development velocity and the rapid pace of innovation become a key noticeable factor. Now businesses around the corner needed a way to scale mobile applications. Through a couple of years, developers around the world had been reconnoitring through a number of cross-platform applications development frameworks, that includes Java development kit, .NET framework, Corona software development kit and Xamarin. People tried and developed many stand-alone applications for all the platforms. Geeks clearly recall that, until the beginning of the year 2016, Microsoft visual studio was given the support to Cordova and the popularity of Xamarin was nearly about to take a fight among all kinda developers. This the exact time when developers around the world slowly realized the power of this amazing cross platform development tool - Xamarin. By the time, Xamarin has become an official tool by Microsoft visual studio package. 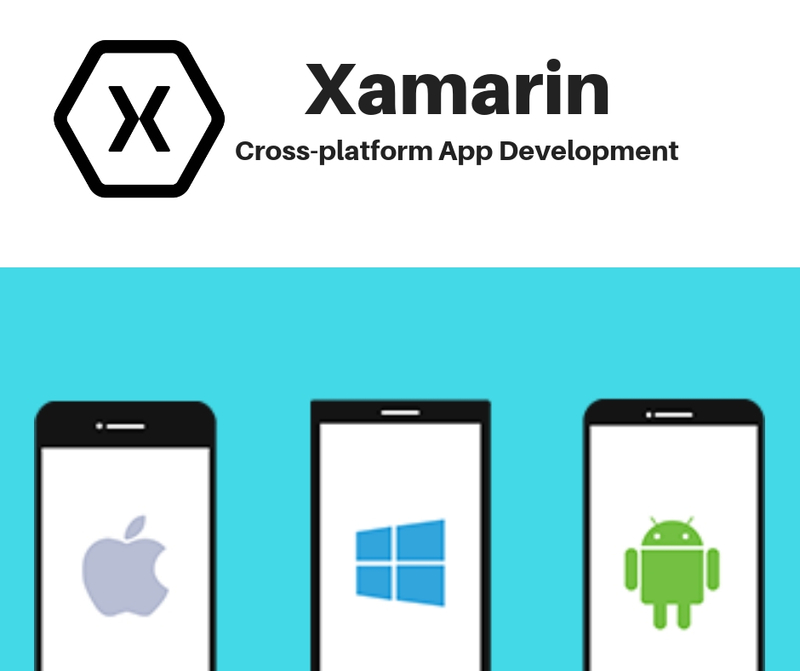 Xamarin is the answer to Microsoft, to the problems related to cross-platform application development and has many add-ons including Microsoft visual studio compatibility. Along with that Xamarin integration scaled up to the level of enterprises. Now it is a most important product by Microsoft. Xamarin is not only a mobile development platform that is used for developing an application, but also a platform that provides testing tools and monitoring facilities. It is one of the several companies that offer a platform in the own enterprise space. The other company includes IBM and Kony for the enterprise market space. All the new ventures came up in 2011, gained 15K plus new customers and 1 million developer downloads. In the last year, Xamarin Development Company has grown 97 per cent and the sales were noted double than the previous year. Xamarin is considered as enterprise ability to develop a native application on all the three major app development store: iOS, Android and Windows Store. Albeit, using c# as a major computing language. It is obvious that Xamarin has the world’s largest community of the mobile app developers. By which Information technologies has the privileges to access the development resources to develop a mobile application with the limited workforce. Apart from the development, Xamarin enterprise solution lifecycle features with the Test cloud and Insights. An enterprise such as Apple Watch needs to develop such apps that work across a huge range of devices, including wearables. Over a one-third of companies want to build the application for wearables. As it the future technology and really booming in the market. This will result, more operating systems into the mix, just like Android wear. Finally, at a present day, Xamarin announced: It is a platform that will enable developers to develop and design Apple Watch application from Microsoft Visual Studio. Xamarin.Forms, The idea is to allow developers to share more than 91 per cent of a written program to any platform, usual availability for Windows 8 and Support for Windows 10. For the Tablet factors for Android, iOS and now Windows users it has native user interfaces but in backend uses the shared algorithms. When it comes to rapid prototyping, cloud-based or online, IDEs for enterprise app developments joints the workflow. Now onwards, a cloud-based visual studio user can build share the ongoing projects. The application builds on online visual studio reducing the configuration compatibilities and maintaining an online development server. Online Visual Studio, also enables the offline tools, such as Xamarin test cloud. Online visual studio receives work projects automatically that are using Xamarin Insights to monitor production application for exceptions and different events. Xamarin is the complete package to develop fully furnished cross-platform enterprise applications. It is a product in the market by Microsoft, which provide an additional cost that you wanted to use while billing. Major services are developing, debugging, scaling, deployment and testing. In short, it is for any enterprise Pay as you go, model.